PLEASE NOTE: A $5.00 handling fee is assessed on all orders to cover our processing costs. 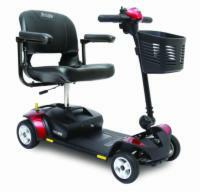 Free shipping applies only to adult mobility scooters delivered anywhere in the lower 48 states. Scooters can be delivered to Hawaii, Alaska, and internationally with additional charges for freight. Scooters will be drop shipped directly to you from the manufacturer. Delivery time will depend on your location and which scooter you select. An elevator must be available for second story or higher deliveries. Please note that street scooters do not ship for free. Shipping costs are included in the prices of accessories. All ramp prices include shipping. Ramps are drop shipped directly from the manufacturer. Orders placed by 12:00 EST will ship same day by UPS. Ramps larger than the UPS limit will go by common carrier. Trailer prices include shipping. We do not accept returns on trailers, as these are custom-made items. Currently, our trailer orders ship from Greensboro, NC and should arrive within two weeks. 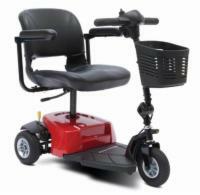 Ask your mobility specialist for an estimated delivery time when you call to order. We keep most of these items in stock; when you order, they will typically ship the next day from the warehouse nearest you. They generally ship by Fed Ex or UPS; shipping costs are included in the price of the lift. NOTE: Items labeled "Quick Ship Product" are shipped within 3 business days, Monday through Friday, from receipt of a complete order. Look for this label when time is of the essence.